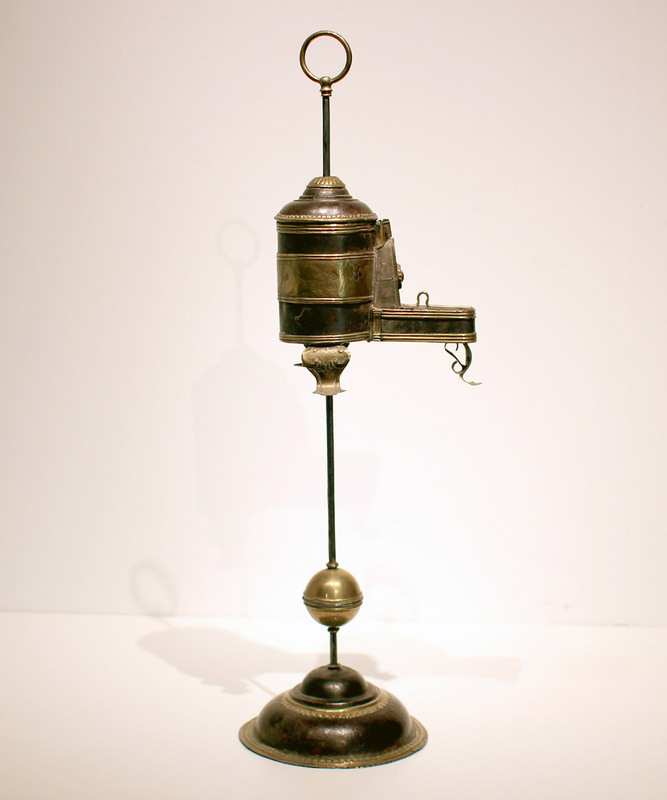 Adjustable fluid lamp from mid-19th century, France. Patinated tin and engraved brass. Excellent condition. Patenated tin and engraved brass.